You’ve heard me say time and time again how much I love a lightweight trench coat. It’s just one of those wardrobe staples that never goes out of style, instantly adds finesse to any ensemble and looks equally chic at work or play. I’ve worn mine to meetings, to the movies, sightseeing, on dates, to brunch with friends… quite literally everywhere. 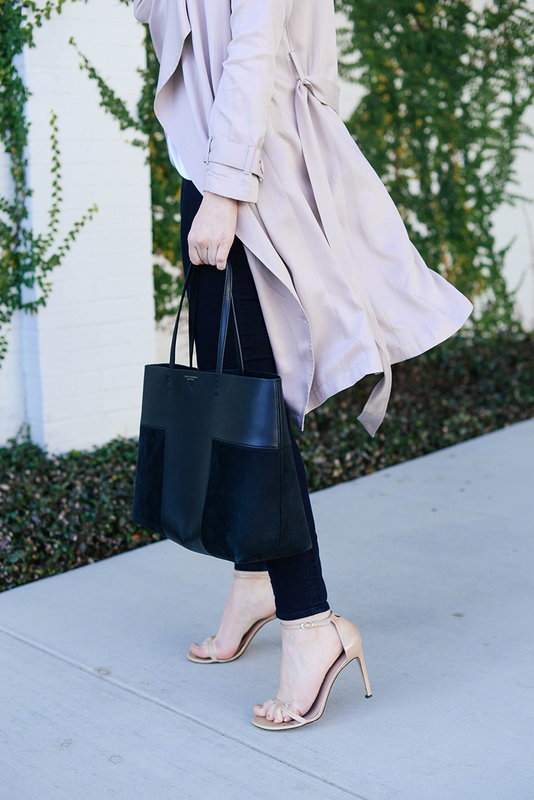 I love my original neutral trench so much that I decided to pick up a new one in blush for spring! Really the only differences between this new one and my old one (aside from the subtle rose color) are the back flaps and buttoned cuffs. 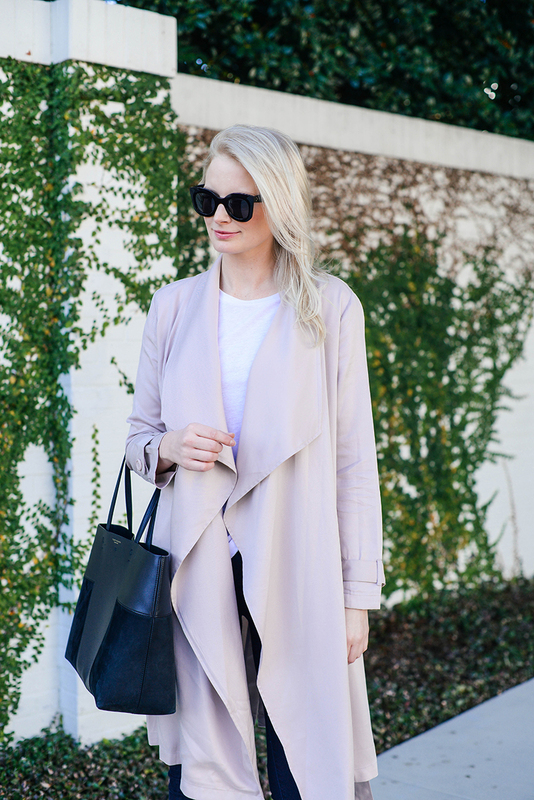 The simplicity of a trench coat like this is what makes it such a versatile, timeless must-have. You can actually wear it with everything! It also comes in black, which I’m now thinking I also need – the ultimate closet classic! How gorgeous would this strapless lace number be for a spring/summer wedding?! This punchy red mini dress is ideal for hotter-than-hot Texas summers! Love the subtle cutout in the back. This faux leather jacket is a longtime favorite of mine (I have it in two colors! )… I featured it in THE EDIT this week too! Check out the Toffee, Parchment and Bone colors for good spring neutrals. This watercolor maxi would be a fab look by the pool or beach, or dress it up with statement earrings and heeled sandals for date night! Similar to my trench, this shorter military-green drape jacket is a transitional wonder you’ll wear year round. This faux denim off-the-shoulder dress is another great day-or-night option for hot spring/summer days! I have so many BB Dakotal items in my spring wishlist, love that trench. 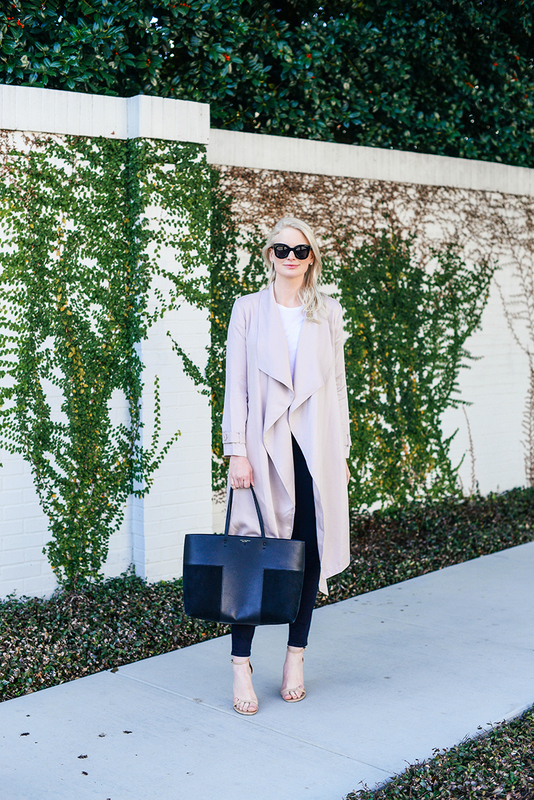 LOVE BB Dakota – and LOVE this trench! BB Dakota always kills it. That trench is so pretty and I love how you styled it! This trench is so cute! Love the easiness of it- a wardrobe staple for sure! So good. BB Dakota seems to offer such great value. Lovely, Merritt. Wow this color looks great on you! I love BB Dakota. 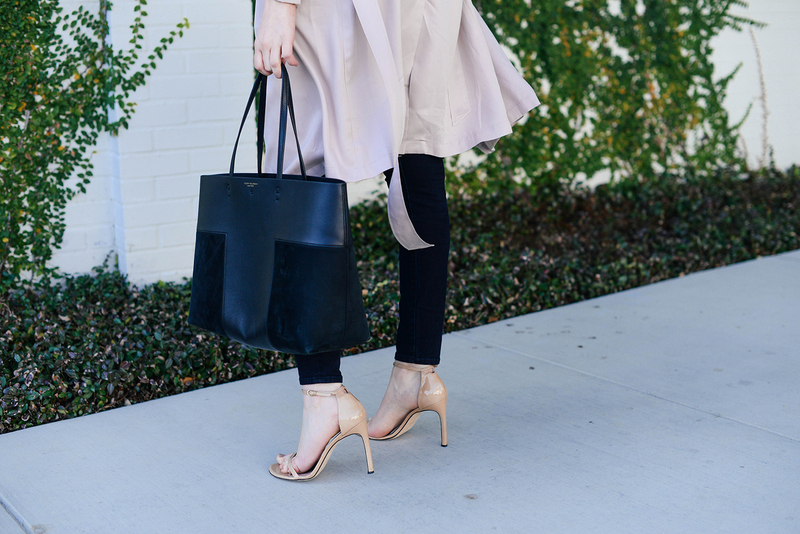 This is such a great blush trench. It will be a versatile piece for sure. Love how that trench moves! Such a pretty color for spring too. Would you consider doing a post involving dress/up, dress/down options for the main pieces of the same outfit? I love all of your outfits but sometimes I need a more “casual” version (or vice versa) and I’d love to see your take on it! Thanks!